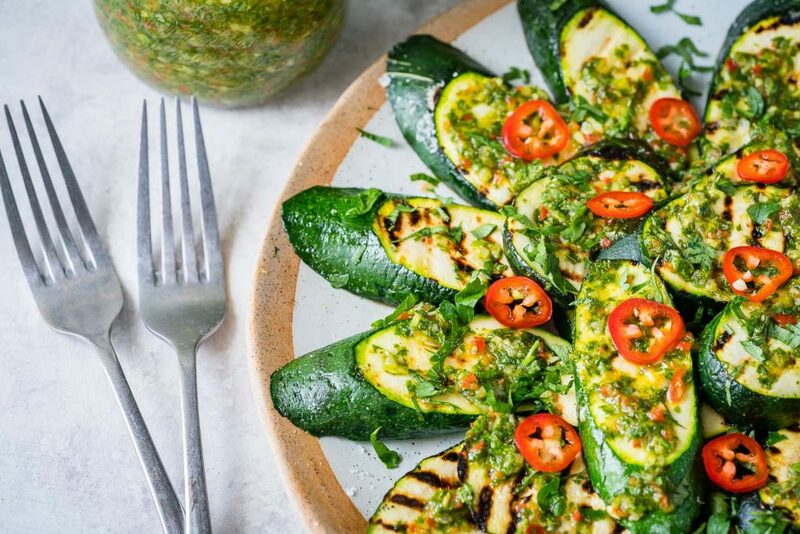 Fresh Grilled Zucchini with Chimichurri is a Summer Side Dish You’ll LOVE! Preheat a grill to high heat, grease the grill plates to prevent sticking. 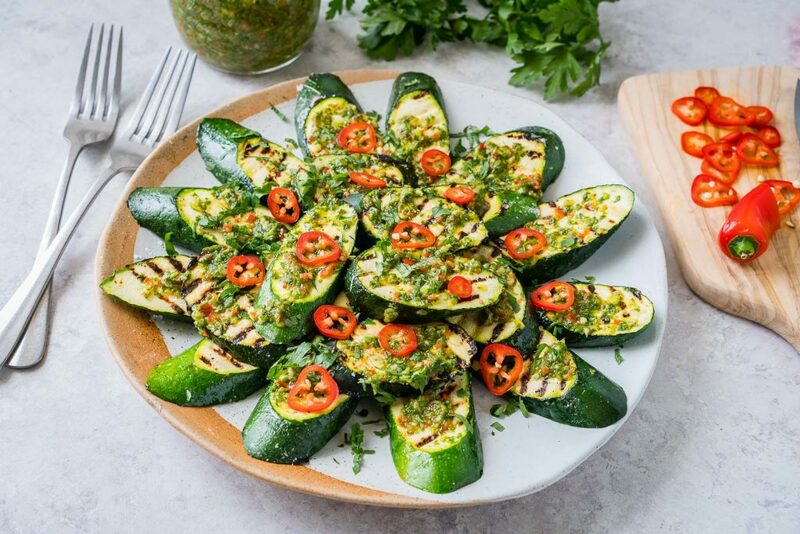 Slice zucchini into thick discs and season with sea salt and pepper if desired. Add oil and toss to combine. 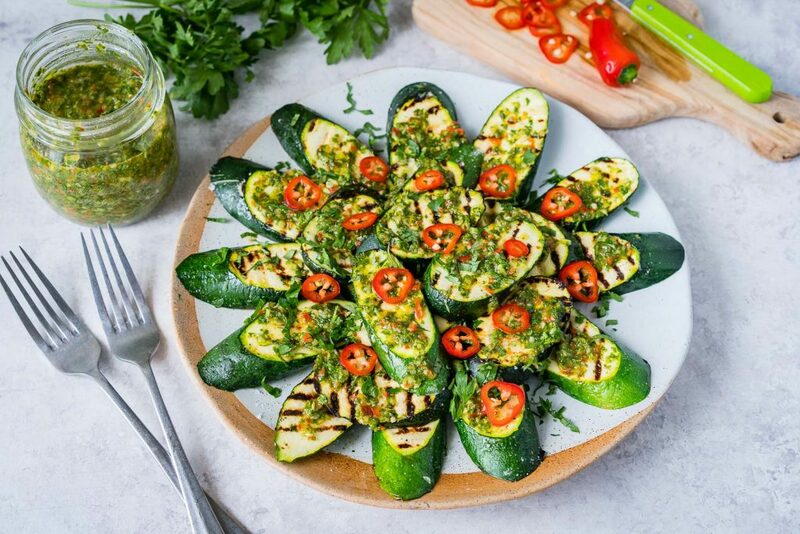 Grill the zucchini slices about 2 minutes per side, until cooked but still firm. Meanwhile make the chimichurri sauce. 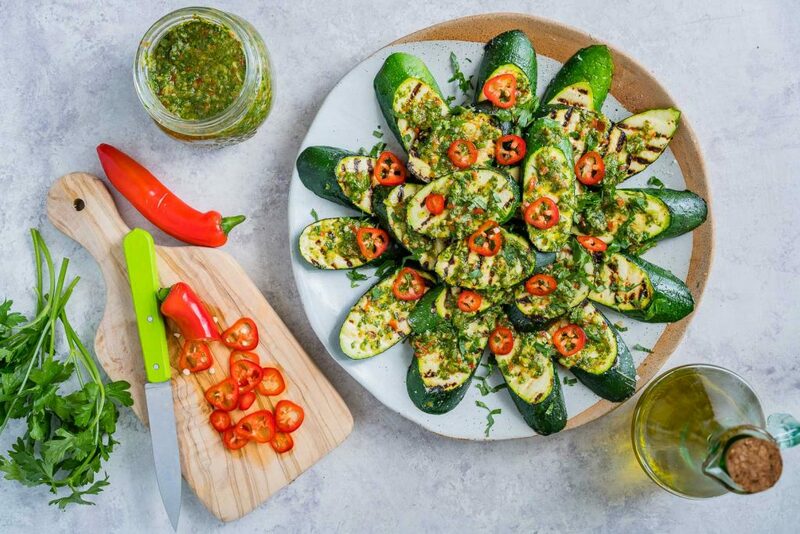 Click here for the BEST Chimichurri sauce recipe! 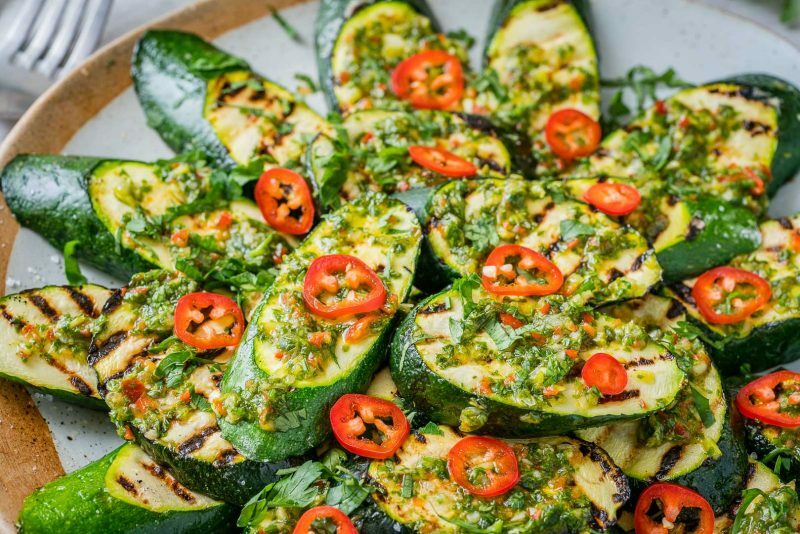 Meanwhile, make the Chimichurri sauce - recipe is in the link above!